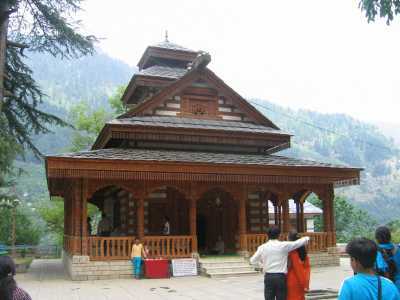 Manali is situated at the northern end of the Kullu Valley, Manali literally means the 'Home of Manu', the mythological character who survived when the world was drowned in a flood. Spectacular views of snowcapped peaks and wooded slopes, grassy meadows carpeted with wild flowers make Manali the perfect retreat for a family holiday. 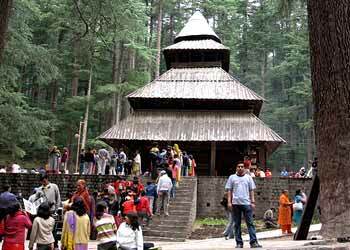 Manali is a popular Himalayan tourist destination, and is visited by many trekkers who follow the hashish trail. 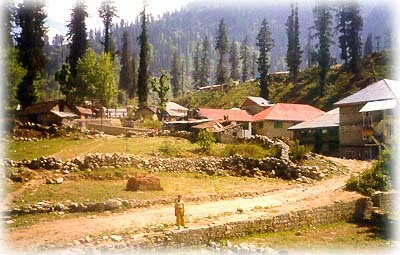 Manali's charas is considered to be the best in India. It also offers hot springs, spectacular religious shrines and temples, Tibetan Buddhist temples, and trekking in the surrounding mountains. Manali is also the starting point for the two-day journey along the spectacular road to Leh in Ladakh. Location : Manali is a beautiful hill resort in the state of Himachal Pradesh. 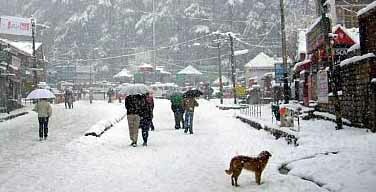 It is 40 kms away from Kullu, another popular hill station of North India. Climate : The temperature drops below freezing point in winter months when it shows heavily. Summers are generally mild and light, punctuated by monsoons during July - September. Air : The closest airport to Manali is at Bhuntar, which is 77km from Manali. Rail : The closest narrow-gauge railhead is at Jogindernagar, 135 km away. The closest broad-gauge railheads are Chandigarh (310 km) and Ambala (355 km). By road : The distance from Delhi via Mandi is 585 km, and from Shimla the distance is 270 km. We would provide you all India tourist permit vehicles for the local transportations and also for the intercity drives too.